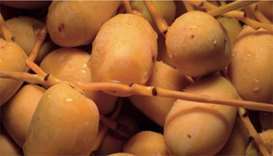 Popular varieties of fresh dates on offer at the annual event. 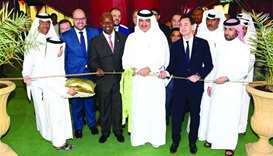 The festival has been organised by the MME's Agriculture Affairs Sector under the sponsorship of Souq Waqif management. HE the Minister of Economy and Commerce thanked the participants in the market, stressing that the event is in line with the Ministry’s efforts to support Qatar in its journey towards achieving self-sufficiency across all sectors, particularly in food. 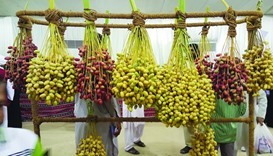 Locally-grown dates have become one of the most sought after items for shoppers at the second edition of Mahaseel (crops) Festival, taking place at the southern area of Katara – the Cultural Village. 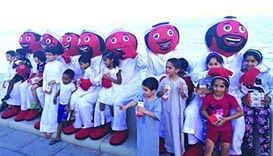 Ooredoo volunteers surprised people walking along Doha’s Corniche on Tuesday with a special gift of water and dates to break their fast for Iftar. 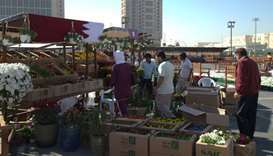 More than 32 tonnes of dates and 1,408 seedlings have been sold at the Local Dates Festival over 10 days, the Ministry of Municipality and Environment (MME) has said. A group of Ooredoo volunteers surprised people walking along Doha’s Corniche on Wednesday with a special gift of water and dates to break their fast for Iftar.